SOCHI, August 31. /TASS/. Moscow believes it is necessary to start removing the sanctions imposed on Eritrea by the UN Security Council due to the signs of improvement in the situation in the Horn of Africa, Russian Foreign Minister Sergey Lavrov told reporters on Friday at a joint news conference with his Eritrean counterpart Osman Saleh. "Amid profound positive changes in the Horn of Africa over the past few years, especially between Eritrea and Ethiopia, we believe it is necessary, on the practical level, to begin removing those sanctions that were imposed on Eritrea by the UN Security Council," he noted. "We welcomed the process of normalizing the Eritrean-Ethiopian relations that began in June, welcomed the resumption of direct contacts between the parties, which made it possible to move towards removing all mutual concerns. We noted that this became possible thanks to the good will of the two countries’ leaders." Russia’s top diplomat recalled that Moscow "has been consistently committed to overcoming the existing disagreements between Asmara and Addis Ababa (the capital cities of Eritrea and Ethiopia - TASS) by peaceful means and suggested establishing a direct dialogue between the foreign ministers of Eritrea and Ethiopia back in 2013." "We are confident that the normalization of ties meets the fundamental interests of the peoples of Eritrea and Ethiopia and will contribute to efforts to create an atmosphere of good-neighborliness between the two countries, becoming an important factor for strengthening stability and security in the Horn of Africa," Lavrov stressed. "We also support positive changes in relations between Eritrea and Somalia and would like relations between Djibouti and Eritrea to overcome the crisis as well. We will provide every assistance to normalizing the atmosphere throughout the Horn of Africa." 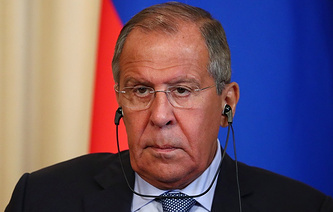 According to Lavrov, in addition to political stabilization, this will make it possible to create excellent opportunities for deepening regional economic integration." "We will promote such processes and are ready to encourage Russian companies to take part in promising multilateral projects, such as the creation of regional transport corridors, cross-border pipelines and others," the Russian minister added.